Alternative proteins are on the verge of becoming mainstream and ‘stealing’ growth from traditional meat products as they play a growing role in meeting consumer needs and preferences, according to a recently released global research paper. 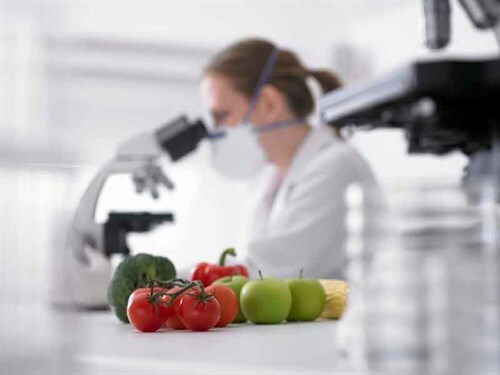 The report, ‘Watch out…or they will steal your growth’ by agribusiness banking specialist Rabobank, examines why alternative proteins – including plant-based meat substitutes, emerging insect or algae-based products and lab-grown meat products – are starting to successfully compete for the "centre of the plate". Report author, Rabobank global sector strategist for Animal Protein Justin Sherrard, says, "Three of the strongest demand drivers for alternative protein products are essentially those that are ‘pushing’ consumers away from regular animal protein consumption, namely concerns around health, animal welfare, and sustainability." With alternative protein companies adept at tapping into these drivers, Justin says market share growth is set to rise, particularly for meat substitutes – the most mature of the alternative protein products. "Rabobank’s initial projection is for the market of alternative protein products to grow at a compound annual growth rate of eight percent in the EU to reach a level of between 200,000 and 250,000 tonnes by 2022." Based on these growth rates, and the outlook for relatively flat consumption growth of traditional meat products in the EU, Justin says alternative proteins could represent one-third of the total EU protein demand growth in the next five years. For New Zealand (and Australia), local food industries are "not at the pointy end of the trend towards substitute food", says Rabobank’s general manager of Food & Agribusiness Research in Australia and New Zealand Tim Hunt. "Rabobank believes that domestic market penetration of alternative proteins and substitute foods in New Zealand and Australia will lag behind that in the EU and US, where current market development efforts are focused," he says. "Similarly, their adoption in the emerging markets that we export to are also likely to lag with most consumers still trading up to traditional protein products, like red meat and dairy, rather than embracing meat ‘analogues’. "That said, the trends in New Zealand and Australia often eventually follow what unfolds in the EU and US, and it would be a waste not to learn from the experiences of producers in these markets." Emphasising the naturalness of traditional food products is a useful strategy, Tim says, but in many cases isn’t likely to be enough in itself. "In line with their processing partners, meat producers need to recognise what is driving these substitutes and do what they can to tap into the desire for healthy, sustainable, and novel products delivered through a supply chain that consumers trust," he says. Read more news and industry updates on Farm Trader.